ReadWrite: When we talk about networking around IoT there’s a lot of smaller networking models e.g mesh networks and protocols. Everything from that to large networks talking about 5g deployments. So, there’s a lot of issues for large enterprises to plan around IoT. For you two, what are the biggest issues to consider for an executive that’s choosing the network for their own IoT deployment? Do you have an immediate business need such as a one plus year time frame? Are you looking at a strategy type decision over the next five years? Do you want to build expertise? When thinking about digital automation and connectivity and automating your enterprise your enterprise, do you want to control the entire set of infrastructure? Are you actually building your staffing resources and infrastructure to control and manage the network yourself? In terms of spectrum, are you going to build it yourself or are you going to partner with a wireless provider to do that? These are critical, strategic business decisions that you need to address and then you decide upon the underlying technology that will help you realize the individual use cases. There are existing technologies that can be used today that could meet certain business requirements at a limited scale, which can then be expanded and extended to include more mission critical functions when you deploy 5G. You definitely want to apply the right piece of technology for that particular business case. And then there’s different types of investment cycles. For example, obviously there’s a lot of mature technologies out there today that may be mid to lower cost that you could invest in. This decision may yield shorter term operational savings that you are looking for. However, for longer term needs such as providing new use cases that increase revenue it may be necessary to invest in a bigger and better technology such as 5G. 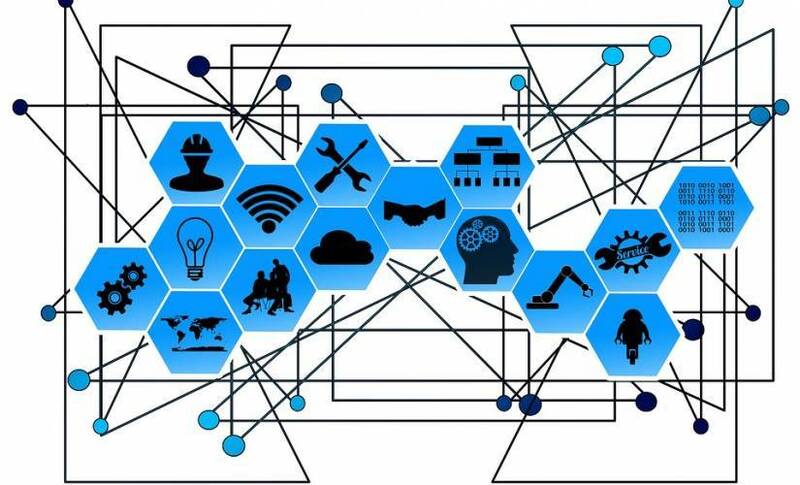 Samuele: There are major things that executives should take into consideration before planning connectivity for an IoT project and in fact, it isn’t easy. The first consideration is the type of use case you want to enable because they are all different and require different levels of reliability and different types of latency. For example, say you want to connect your parcel which is traveling the world and you want to know where it is, this is different from connecting an autonomous vehicle in a factory or maybe in a harbour. They are both IoT use cases but completely different. The next consideration is what connectivity networks are available in your area? The key questions to ask yourself are: Do you have a public IoT cellular network available (eg. NB-IoT or LTE-M), or will/can you purchase/lease spectrum so that you can build a licensed LTE private network, or do you have to use some unlicensed /shared spectrum LTE based technology (e.g. Multefire and CBRS)? The final consideration is about the existing ecosystem. If you want to use a very new technology which has not been associated with that many devices yet, you have to have a plan. Maybe you need to galvanize your local ecosystem into action to speed up things. You have to be aware of how long it might take for you to get the pieces that you need to build your use case. I would say these are the three key steps to think about (use case, connectivity and ecosystem), but of course, there are many sub items And details associated with them. ReadWrite: I think we’ve dovetailed into number 2. Can you elaborate on the types of use cases that you see and how those networking use cases might start out? Jason: We’ve been talking a lot about the industry 4.0 because that’s where we see the potential for a lot of transformation. If you look at it, there’s different types of industries such as: manufacturing, construction, power generation, and distribution. . Let’s look at a new possible business model for the ‘process’ industry like chemical manufacturing. Instead of taking raw materials and just creating a final product that is sold, they could provide tighter integration into their customers operations. Allowing them to make tailored products or offer analysis services. The ability for a business to interact with partners and customers at different parts of the value chain is important. Building flexibility into the infrastructure allows you to be able to do that. It is critical. Today proprietary systems are in place because a business has one specific part in the value chain. However, what should be done is take a big step back and ask yourself, ‘OK how could I sell my product or my services that I create at any part of that value chain. What do I need to do with my infrastructure to be able to enable that and become a much more flexible and agile business?” Once these are addressed, then the conversation changes to things like building a flexible network architecture, using fundamental technologies like NFV and SDN, being able to automate all those processes using advanced analytics (AI) and ensuring security. Looking at the problem from a business perspective is the first step and then identifying the right set of technology tools comes next. Samuele: You also need to take into account whether you are going to ask your network operator for a dedicated piece of their public network, or will you build your own network. Think of when you do speed tests. Your “score” does not really depend on you, does it? Basically, if your business model is that you want to use the mobile network so that you can easily deploy whatever use case or device whenever you feel like, you have two choices. You can either make the wireless network a part of your IT infrastructure so you have full control over it (e.g., you go and place your access points and you provision the devices, and so on) or you can ask a communication service provider to do it all for you. You need to start playing in IoT today and gain some experience with the technologies that are available now (eg LTE based technologies + edge computing) in order to be ready to capture the full potential of the 4th industrial revolution that will be powered by 5G. ReadWrite: We talked about edge computing. We know that around IoT everything seems to be covering at the edge and it’s not just connectivity or compute capacity but also energy as well. When you think about an IoT network, you think of them meeting all these utilities. I use the example of an autonomous vehicle because it happens to be the largest, sexiest appliance in an IoT network that everyone likes to talk about, but it’s also one of the biggest consumers of all of those three things, those utilities if you deploy a network. How do you see energy and compute capacity factoring into a connectivity network of choice for an executive? Samuele: Regarding mobile edge computing, we see more and more IoT data being processed at the edge and this is estimated to reach around 40% of all data within the next couple of years. ReadWrite: Do you know what the percentage is now? It’s related to the speed of light. Even if the speed of light is very fast, there are some applications where milliseconds delay, say a control system, might not be feasible. If you imagine something like a system control in a factory, you need a millisecond or less to make sure everything runs smoothly. When you think of the amount of data that is created, for example, an airplane creates a lot of data during each of its trips. It’s not very meaningful as most of that data is raw data. The significant data may only be an outlier taking place, such as a warning, and that is the part you have to pay attention to. Edge computing provides the capability for the data to be analysed locally and only a small amount is actually transferred. In the end, there is cost reduction in the transmission bill. Another aspect is related to the privacy of the data. Edge computing makes sure that data that is created locally stays local. There are many cases where regulators make data stay in the country where it was generated. Also, certain companies may feel more comfortable when they know the data stays in the company and never goes out. For us, the edge is a data center because you need a lot of processing power available. Not every IoT application needs this. Edge computing makes sense when one or more of the above 3 requirements exists. You hear a lot about Low Power Wide Area Networks (LPWAN) that are designed to minimize energy consumption of smart objects so that you won’t need to change billions of batteries every year. Not all IoT use cases aim at minimizing energy consumption. This might be a priority for a gas meter but not crucial at all for a remotely controlled vehicle. Jason: Back to the flexibility point of view, because with Multi-access Edge Compute (MEC) not only are you processing the data closer to the access network, it’s accessible and controlled by the enterprise, so deploying an application on a MEC server becomes simpler and faster. Flexibility and local control is very powerful in the case of IoT when dealing with the type and quantity of data that gets collected and the applications that get hosted rather than having to go back to a centralized cloud that might be 3rd or hybrid owned. Samuele: By the way, edge computing is the key component of what we call Future X network. Once we get to 5G, cCore edge cloud it’s a natural evolution of Nokia Edge Computing. ReadWrite: Networks require constant upgrading to keep up and that requires investment from whoever your partners are going to be or new participants to come in and disrupt the services or technology but those all have time frames as well. Will today’s IT technology look dramatically different in 5-10 years? Jason: From my perspective, we’ve had cellular IoT out for a while. What you’re seeing now is some wireless providers turning off their 2G networks and it is taking a long time to get there. Previously, networks were designed for different specific purposes. So, if you think about 2G, it was designed for voice, 3G for web and data, and 4G for video. When you make an investment in IOT, you’re making an investment for a number of years. Particularly when you’re deploying large number of devices and they’re embedded in the ground. In those individual use cases, you will use the existing technologies that you have today and they will serve their particular use case within their lifecycle. In terms of 5G, we see the fundamental design criteria differently from before. We are going from just a few bits per second to gigabits per second. We see 5G as more of a unifying technology in the longer term. So you might deploy IoT using today’s technology and once that’s served its lifecycle you can swap those devices out using 5G. By the time we get to a certain point, we might see maturity in a 5G environment where you would have that capability and you start to transition those devices piece by piece and that’s just purely from the radio access side. Instead of having a separate networking technology environment, the goal would be to have this underlying access technology that could cope with all of them. Once we get to a critical mass to scale from a cost and overage perspective that’s when it becomes very powerful. However, critical mass acceleration and adoption won’t happen overnight. It takes a while. ReadWrite: What should you expect from your provider and what are the main concerns they should address as a partner? These are the key parts I would want to ensure with an agreement with a connectivity provider. Check coverage: check if the service is everywhere for everything you want to connect to. For example, can you get every corner of your factory connected? Is there some kind of connectivity hole? You might need to go and check with the right tools on the field. Interference or poor connectivity will jeopardize your IoT applications. Also, you want to check if the bandwidth you need is available at any time you need them. If you don’t have a (semi or fully) private network, it means that anyone could be using the some of the uplink capacity you need. Then, finally, security is extremely important, connectivity as well as every endpoint needs to be secured. You want to avoid data manipulation or loss. Jason: I’d add the management of the device as well. Can you do diagnostics on it, firmware upgrade, getting information out of it. How that device is managed and how you extra that data from it is also very key.